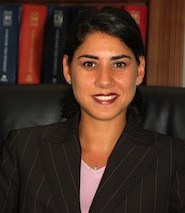 Gair, Gair, Conason, Rubinowitz, Bloom, Hershenhorn, Steigman & Mackauf is proud to announce that our partner New York Medical Malpractice Lawyer Marijo C. Adimey obtained a $2.5 million unanimous verdict in an Upper Endoscopy case in Queens, New York. The plaintiff, Elsa Garzon (57), went to Dr. Steven Batash on June 29, 2015 for a diagnostic EGD (also known as an upper endoscopy or esophagogastroduodenoscopy). Ms. Garzon, of Columbian decent, emigrated to the United States in 2005 to provide a better life for her two children. While raising her two small children, she learned English, became a resident, and started working as a helper in a local Queens deli. She eventually became a U.S. Citizen and has continued to work at the same deli for over 12 years, where she is now the head cook. Dr. Batash recommended an upper endoscopy, followed by a colonoscopy, to address her frequent complaints of abdominal pain. An upper endoscopy is a screening and diagnostic tool used by gastroenterologists to evaluate the upper part of the gastrointestinal tract. Upper endoscopy is used to identify ulcers, colon polyps, tumors, and areas of inflammation or bleeding. Performed under a mild form of anesthesia, a thin, flexible tube with a camera at the tip is used to examine the inner lining of the esophagus, stomach and duodenum (part of the small intestine). The scope is inserted into the mouth, down the esophagus, into the stomach and then passed through the upper part of the duodenum. Passage of the endoscope through the duodenum is incredibly important, as improper handling of the scope could cause injury to intestine and to the abdominal cavity outside the intestine.